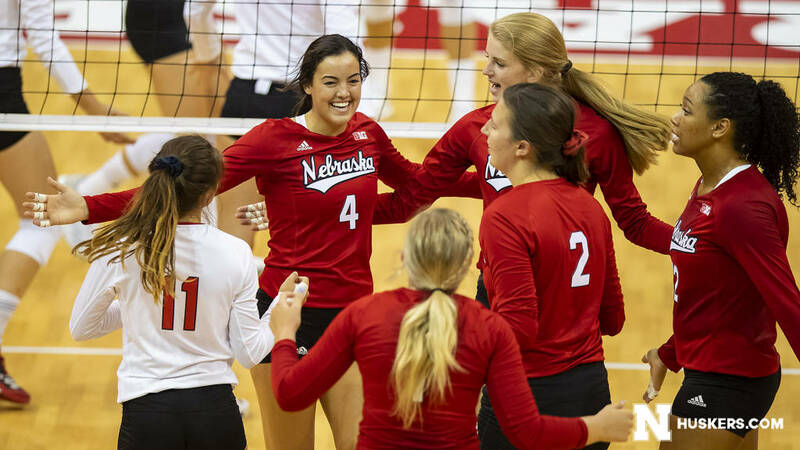 In the latest AVCA Coaches Poll, the defending NCAA champion Nebraska Cornhuskers dropped from 5th in the country to 7th in the country, in spite of going 3-0 on the weekend. On its own, that’s not particularly surprising, as none of the wins were against elite competition, and two of the teams that jumped them, BYU and Wisocnsin, had wins over Texas and Stanford to propel them up the rankings. The poll, which is made up ostensibly of votes from NCAA Division I head coaches, had 64 submissions received for week 2. What’s interesting though, is that the Huskers were not listed on two of the 64 submissions – as in they were not ranked as a top 25 team in the opinion of two of 64 voting coaches (or the designated staff member who filled out their poll for them). Those came from Long Beach State and the Louisiana Ragin Cajuns. Neither school is in the same conference as Nebraska or plays them this season, and so there’s no obvious reason to down-vote the Huskers. There’s a great chance that this was just an honest mistake and that Nebraska was just forgotten on both, which is obviously odd since they are the defending National Champions. One of the two ballots had Nebraska at #7 last week, and then dropped them out of the top 25 after going 3-0; while the other program didn’t submit a ballot in week 1. Still, if the poll is going to be used as the ‘official’ volleyball ranking, there needs to be accountability. And this was the difference between them likely being ranked fifth and seventh (the math on that a little below). The ranking represented a drop-down of two spots for Nebraska despite going 3-0 on the week. To be fair though, part of the drop is about what happened with teams below them: Wisconsin and BYU downed top two opponents each to jump up the rankings. However, that only explains those two teams jumping them, and not why the Huskers could have been ranked fifth or sixth ahead of Penn State or Texas. Additionally, having them at seventh instead of higher makes it seem odd that Florida, who is eighth and won at Nebraska is behind them even though they are right next to each other. They never played Texas though, so it would have made more sense if they had that block in between them. That’s more so semantics though. Overall, Nebraska will be just fine and won’t be too worried what they are ranked. Teams that play them would like them to be ranked higher for resume purposes though and if they are re-put on polls that they were left off of, it could cause an odd jump in the future rankings. Rob Anderson, who works in sports information for Creighton, noticed the omissions first. Trying to figure out why Nebraska Volleyball dropped from 5th to 7th (just 33 points out of 5th) in this week’s AVCA poll despite a 3-0 week? The fact that 2 of the voters don’t have them anywhere on their top 25 ballot would seem to be a good place to start. It would be nice if when you are discussing the rankings you would include a mention that Nebraska was not even included on 2 of the ballots. Apparently, the coaches from Long Beach State and Louisiana do not consider Nebraska top 25 team. While they are free to rank the teams as they see fit, it is also worth pointing out that one of these coaches ranked Nebraska at number 7 on her ballot last week and then does not rank that same Nebraska team this week despite Nebraska going 3-0 for the week. When a D1 coach looks at the Nebraska team and uses their keen and penetrating evaluation skills and fails to rank Nebraska as a top 25 team, it should be noted. And it questions the validity of the poll. Hi Tom, you’re literally commenting on an article that is discussing that topic. I must be missing something about what you think we didn’t do that would be nice?